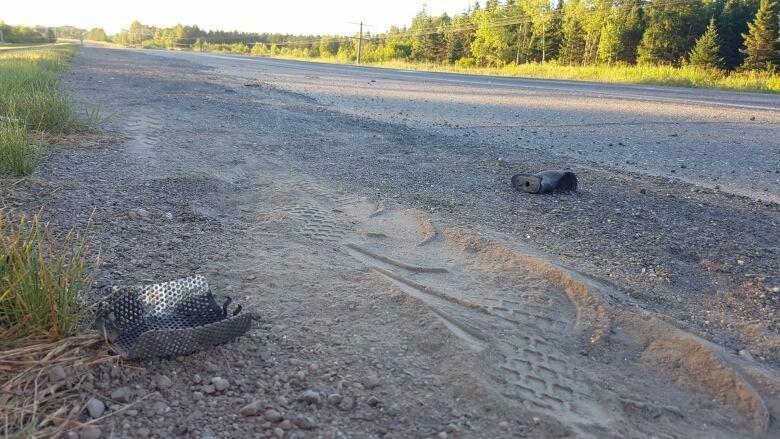 Quebec motorcyclist dead after biker group tries to pass truck hauling camper in northern N.B. A 51-year-old Quebec man died and nine others were injured after their motorcycles crashed in a "domino effect" while trying to pass a truck hauling a camper trailer near Edmundston, N.B., on Friday night, police say. 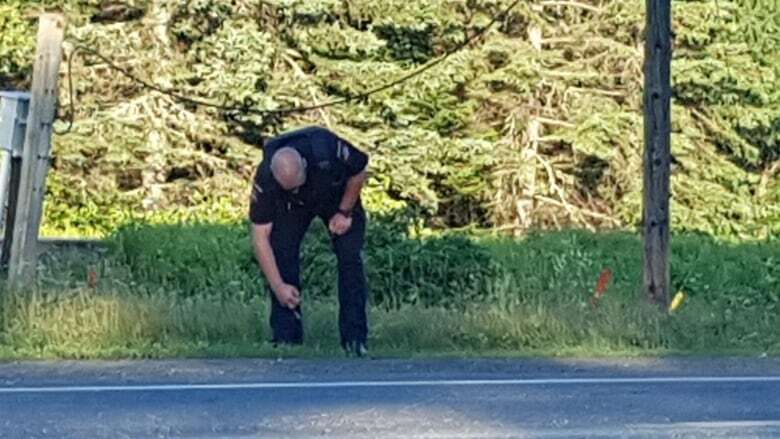 9 motorcyclists crash in 'domino effect' in Saint-Basile, N.B. A 51-year-old Quebec man died and nine people were injured after their motorcycles crashed in a "domino effect" while trying to pass a truck hauling a camper trailer near Edmundston, N.B., on Friday night, police say. 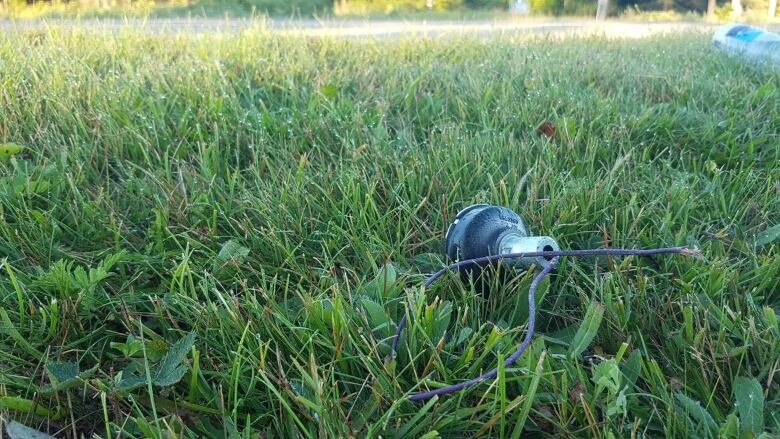 The accident happened at around 7:30 p.m. AT across from a campground in Saint-Basile, just east of the city on Route 144. Police said the nine motorcyclists — eight men and one woman among about 15 from various biker groups, such as Hells Angel, Red Devils and Dark Siders — were attempting to pass a truck pulling a fifth-wheel recreational trailer as it was turning left into a campground. "In an attempt to avoid collision with the fifth wheel, the motorcycles came in contact with each other, creating a domino effect and one rider, the deceased, came in contact with the fifth wheel," Edmundston police Deputy Chief Percy Picard said in a news release. Police said the man who died is from Boisbriand, Que. An autopsy will be performed early next week, police said. The nine other motorcyclists were taken to Edmundston Regional Hospital with multiple injuries. They are expected to survive, an officer at scene said. Tyson Bryan, who works at the Saint-Basile campground, said people ran out to see what happened after they heard the accident. There were motorcycles and gas all over the road, he said. "There was one bike torn in half, actually," he said. "It was just chaos, it didn't look real." Edmundston police, RCMP, the ambulance service and the fire department were on scene for several hours Friday night. By early Saturday morning, most of the crash scene had been cleaned up, but small pieces of plastic and steel still littered the side of the road.